Update: Some of the offers below may be outdated for 2018. We’ve partnered with Amazon to help you get the best deals available right now. Comcast has a lot of different promotions available for Cyber Monday and this deal through one of their websites is probably the best deal you’ll find all year. While they have a few different deals available as seen below, the main deal is for their popular Xfinity Triple Play bundle which gives you TV, phone, and internet. In this Cyber Monday deal, they’re offering a $400 Visa prepaid card or a free Samsung Galaxy Tab 4 with select Triple Play packages. Look through all of the deals listed below that are available through December 2nd to help you save on your Comcast service. These deals are for everything from the previously mentioned Triple Play to discounts on their internet and cable packages. 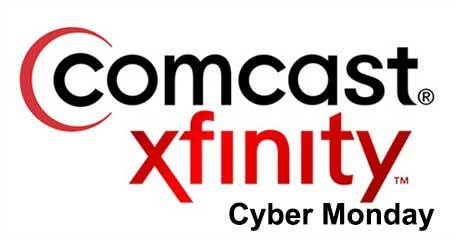 Browse through the Cyber Monday deals below through the Comcast Offers website. Cyber Monday Triple Play Deal – As previously detailed, you can receive a $400 Visa Prepaid Card or a free Samsung Galaxy Tab 4 tablet by signing up for select Comcast Xfinity Triple Play packages. Find more details on this offer through the link. Xfinity Triple Play for $109 – Get a big discount on the Triple Play package that can be used along with the previously mentioned deal. This knocks the price down to just $109 per month for this bundle for the first 12 months of the contract. Xfinity Internet Deal: $49.99 Per Month – Take advantage of this discount for Xfinity Internet where you can get Comcast’s internet for just $49.99 per month for the first 12 months of your contract. You can also be eligible for other deals when purchasing this package such as prepaid Visa cards and other available bundled discounts. These deals, for the most part, are only available on Cyber Monday. The main deal of a free tablet or $400 prepaid Visa card will end at midnight on Cyber Monday (December 1st). Leave any comments and questions on the section below and we will do our best to help you save money through our Comcast Offers partner.